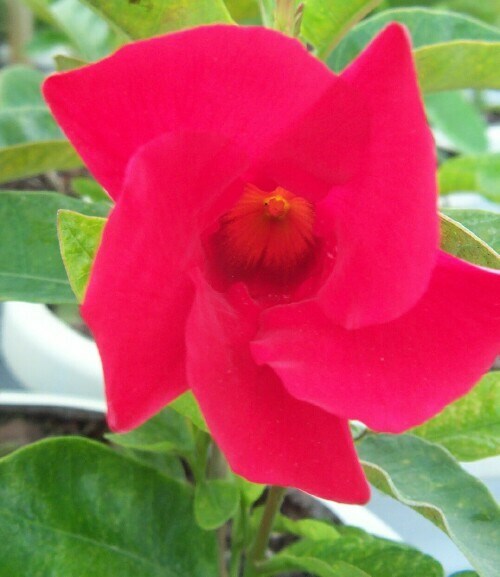 Large, rich dark red flowers cover this tropical vine all summer. Glossy dark green foliage twines up any trellis or post. Grows best in hot sunny locations.